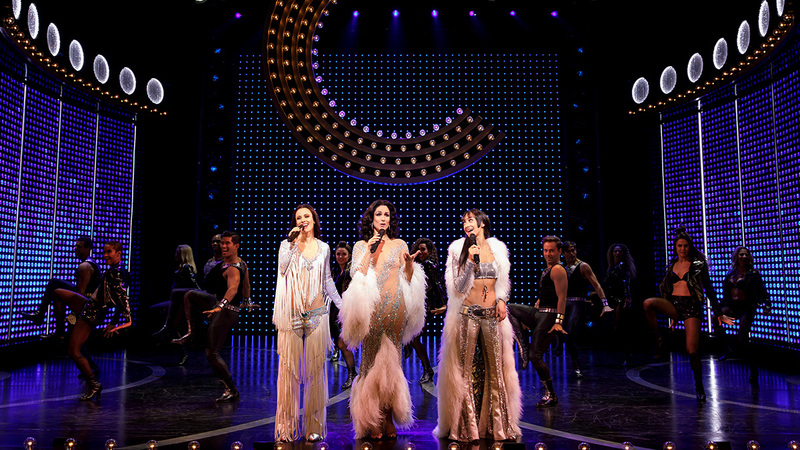 If you are a Cher fan, then the new Broadway musical The Cher Show is the perfect show for you! 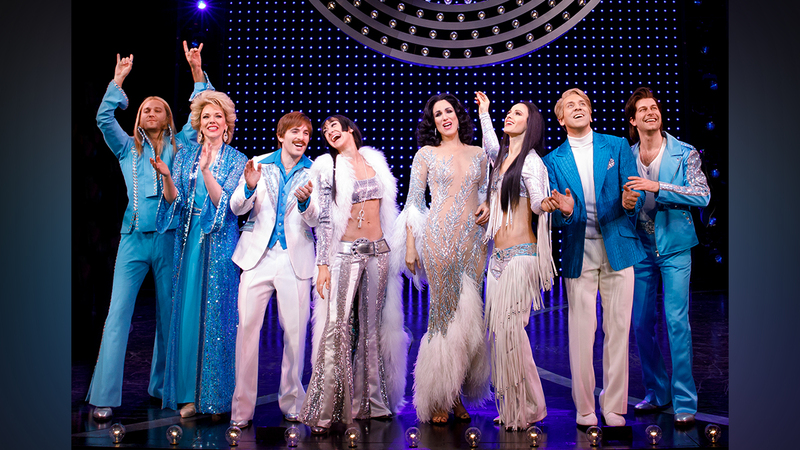 As a long-time Cher fan, here are some of the things I love about this dazzling new musical. 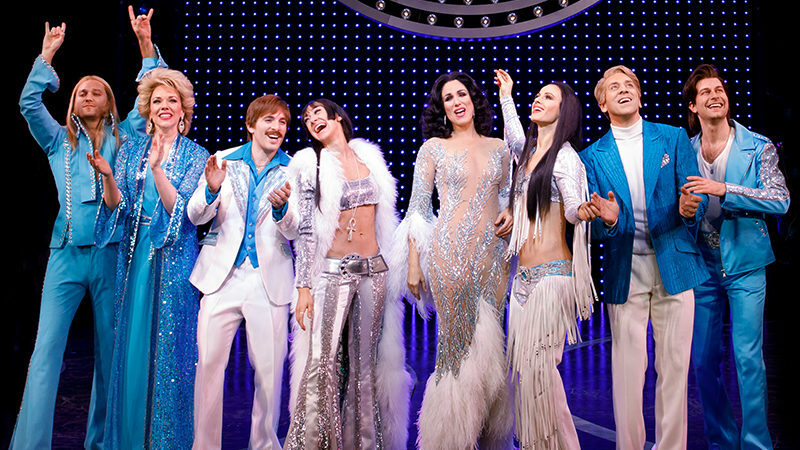 The Costumes – You can’t think about Cher without thinking about her iconic costumes. The Cher Show features all of Cher’s most recognizable outfits, designed by Bob Mackie. There is even a complete fashion show of Mackie’s jaw-dropping costumes in the show’s first act! The Spectacle – One of the things that sets Cher apart as a performer is the spectacle her concerts have. The Cher Show, like Cher’s concerts, contains plenty of spectacle. The show’s flashy scenery and lighting make you feel like you are actually at a Cher concert. The Leading Ladies – Stephanie J. Block, Teal Wicks, and Micaela Diamond all share the stage playing Cher at different points in her life. The three leading ladies are so spot on in their portrayals of Cher that even the most die-hard Cher fans could easily mistake them for the real Cher! Teal Wicks, Stephanie J. Block, and Micaela Diamond in The Cher Show. Photo by Joan Marcus. 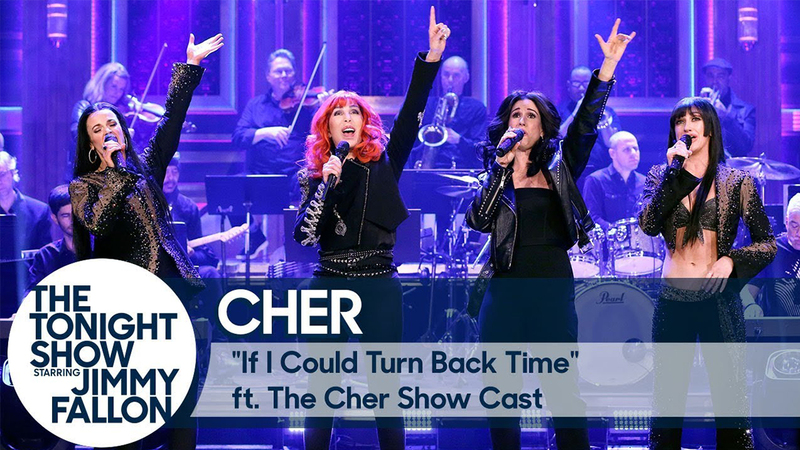 The Nostalgia – The Cher Show explores Cher’s life and career, from her childhood all the way up to her current concert tour. This means Cher fans can relive their favorite parts of Cher’s multiple concerts ranging from Sonny and Cher’s early shows at Caesar’s Palace in Las Vegas to Cher’s current “Here We Go Again” Tour. The Humor – Cher has always been funny, sassy, and bold. The Cher Show features many of Cher’s classic jokes and one-liners she is famous for. Also peppered in are some new zingers that will have the audience in stitches. The Music – The Cher Show features all the songs Cher fans know and love. Not only do audiences get to experience their favorite Cher songs being performed live, but they get to experience them in a new way. Some classic songs are even performed with a surprise twist such as the tango-infused “Dark Lady”.